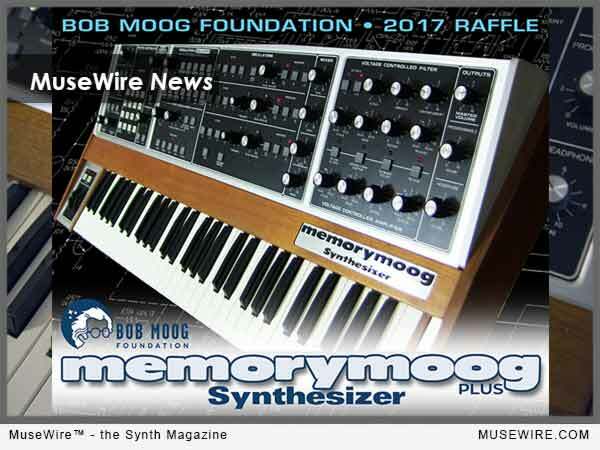 Today, the Bob Moog Foundation announced its Summer 2017 Raffle for a vintage Memorymoog Plus Synthesizer. Proceeds from the raffle will benefit the non-profit Foundation’s educational and historic preservation initiatives. 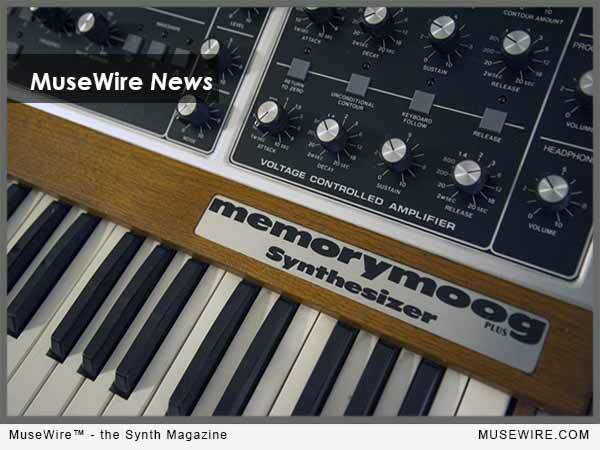 The vintage Memorymoog Plus synthesizer is described as a very unusual and powerful polyphonic synthesizer with six voices for each of the three oscillators, MIDI, and a sequencer. Tickets to enter the raffle, which runs Aug. 8 to Sept. 6, 2017, are $25 each, 5 for $100 or 10 for $200. The raffle, which is open internationally, closes at 11:59 p.m. on September 8, 2017 or when all 4,000 tickets are sold, whichever comes first. Be sure to review the Rules and Regulation prior to entering (found on the BMF website). According to the Foundation, the Memorymoog Plus being offered, serial number 2641, was built at Moog Music’s Buffalo, N.Y. factory in 1984 and has an estimated value of $10,000. It is in excellent technical condition. The synthesizer was generously donated to the Bob Moog Foundation by supporter Lee Keeley, and has been meticulously serviced by vintage synth specialist Wes Taggart, a lauded technician for Memorymoog restoration. To learn more, read rules, and enter raffle, please visit: http://moogfoundation.org/announcing-2017-summer-raffle-vintage-memorymoog-plus-synthesizer/. We provide hands-on opportunities for children and adults to explore the science of sound through Dr. Bob’s SoundSchool and the preservation of Bob Moog’s archives and musical inventions, which will converge in a future interactive museum, or Moogseum, online and in Asheville, N.C. This version of news is Copr. © 2017 MuseWire.com – Christopher Simmons.